I have been using this night moisturizer priced at €54 for a while now and I have to say it lasted a long time a little goes a long way with this product when I picked it up skin was very dehydrated and flaky began using it at night with in a couple of days I began to notice the difference in my skin. No matter how well you protect your skin, sun, stress and pollution bring daily damage. Now a moisturiser delivers a unique complex of eight rapid and delayed-release antioxidants to defuse this free-radical activity. Helps keep skin looking strong and prevent visible signs of ageing. The office I work in I am right beside the window so I feel my skin getting dehydrated as the day goes on or even the heat the office drying my skin out so I enjoy using this cream in the evening. It absorbs quickly into my skin so my skin is never sticky when going to sleep as this would annoy me nothing as bad as your face sticking to your pillow and I feel my skin is hydrated straight away and it never clogs my pores which is something that is important to me. The next day my skin feels so soft and flaky skin is in my past it’s something I never have to worry about but the smell is only ok but that’s not something I care about. I have just run out of this product I have decided to try something new but I know I will re purchase this night moisturizer again. 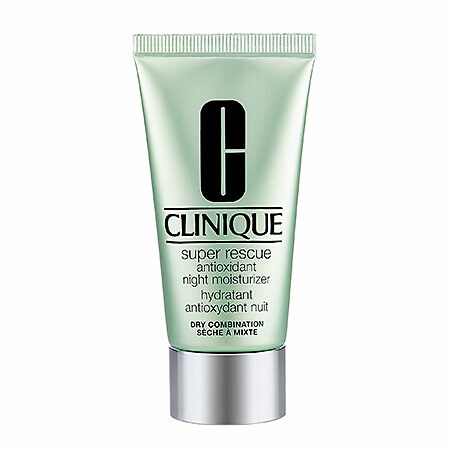 clinque is a brand just like Clarins that I overlook too much! I really don’t know why?